I’ve been slowly transitioning my friends from spending their weekends at the gun ranges to actually going out hunting with me depending on the seasons, and it’s been fun. They are not getting to the point where the questions they are asking are very much on topic when it comes weapons and ammunition for hunting certain types of game. 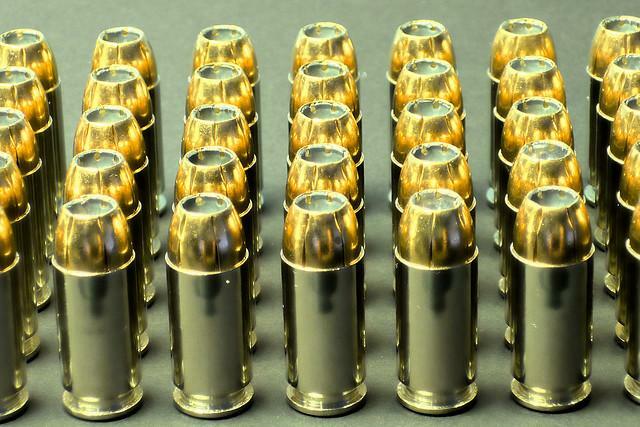 During the current ammunition “shortage” a lot of times I find people purchasing more of what is available then what is best for their quarry and a common element of the conversation is whether they should be using hollow points or soft points. This is really a very good question and the answer depends on a few different factors, so lets get into a few important points to help with your decision. One other thing to note is that the ammunition that I use for practice is not always what I use for the actual hunt, however you should be familiar with how your hunting ammunition performs by using a few rounds during practice. I generally use less than a box of the ‘good stuff’ during an entire season or two, so keep this tidbit in mind when and why you are buying your ammo. Whether to go for Hollow points or soft points will depend on what your purpose is. Hollow points are quick expanding bullets, but due to this they will not penetrate as deeply as soft points. Hollow points will also cause sever tissue damage which may be of concern to those who are harvesting game strictly for table fare. They have incredible stopping power for most game but would not be my first choice when hunting especially tough animals such as wild pigs, as the it may not penetrate deep enough to hit any vital organs. A big hog or bear might get back up and you then need to take additional shots to put it down for good and thereby destroying even more meat. I also should remind you that pissed off bears and hogs are not especially fond of getting shot and can turn on you in an instant. Smaller game animals are not great quarry for hollow points either, also for the reason of too much tissue damage on any game heading to the frying pan. If you were a farmer and merely trying to rid your land of problem animals, etc, then you would not be worrying about the meat but more about stopping power. Soft point bullets will probably not use all their energy shortly after impact and you run a risk of not doing enough tissue damage to put the animal down. There is nothing worse to a hunter than the feeling of wounding an animal and then not being able to track it down knowing that it will more than likely not survive. So, if taking into consideration the need for penetration the soft point will retain more energy longer and penetrate deeper while the Hollow point will use up most of it’s energy at impact. Again, take into consideration what you are hunting, a soft point on a rabbit will kill just as easily as a Hollow point with less meat being damaged. Okay, so you have a lot of very general information, but a reasonably simple explanation of the difference between a hollow point bullet and a soft point. The first thing to remember is that either bullet will do the job if you are proficient with your gun. Velocity, how many grain bullet and distance all come into play in some fashion but that is why we practice and learn. What is perfect for one hunter may not be the ammo or gun of choice for another. Those using their weapons for self-defense or those in the military and law enforcement may also choose differently depending on their needs and conditions. My person choices as someone that shoots wild boar in the swamps from within 50 yards is to go with the soft point in order to penetrate the tough hide, muscle and bone of the evil beasties, but I practice enough to hit where I aim and am patient enough to wait for my shot. Smaller animals I may choose to go hollow point and for those critters that I want to fill my freezer, probably go with soft point. Listen, you may choose otherwise, but generally speaking you won’t go wrong with this philosophy. Get out there, hunt, learn and have a great time. 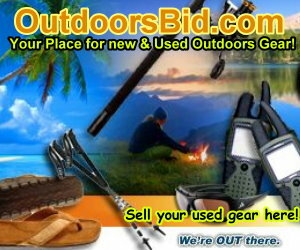 Let us know what your preferences are as a comment to this article. 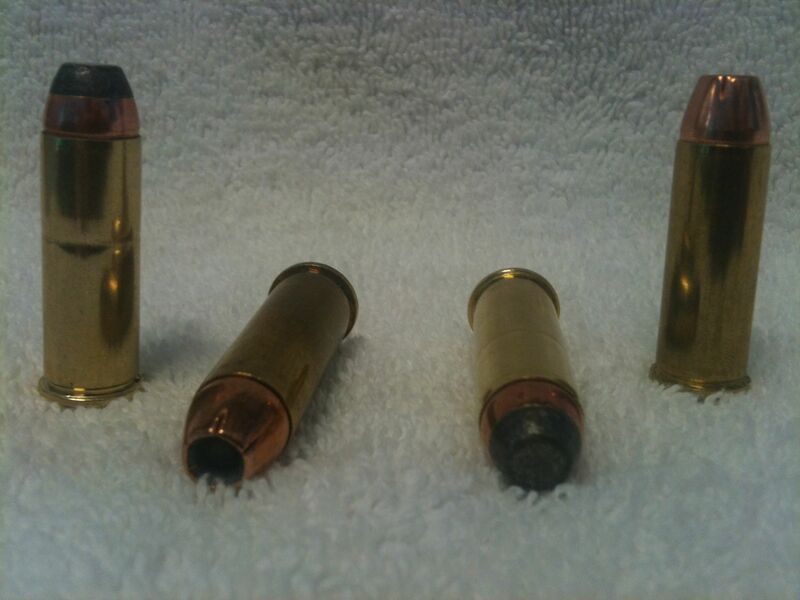 What Caliber and Bullet Weight Should I use?